Presidente Obrero . @NicolasMaduro: ¡Triunfo Popular, Victoria Popular para Venezuela!”. 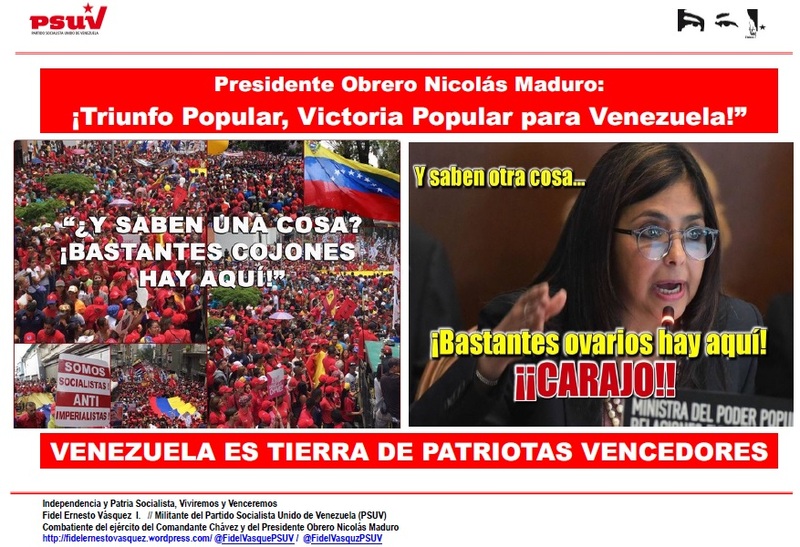 VENEZUELA ES TIERRA DE PATRIOTAS VENCEDORES!! #VZLASoberanaSeRespeta . @DrodriguezVen « Fidel Ernesto Vásquez I. This entry was posted on 28 marzo 2017 a 11:21 PM	and is filed under General. You can follow any responses to this entry through the RSS 2.0 feed. You can leave a response, o trackback from your own site.